A long time ago, in a place not far, far away, it ends. 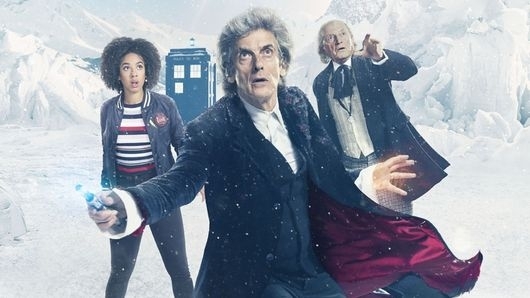 The TARDIS arrives in a snowy landscape, an aged and fading First Incarnation of the Doctor leads his companions Ben and Polly out onto the Antarctic landscape in 1986 where the Doctor first encounters the Cybermen from the planet Mondas. After being taken prisoner aboard a Cyberman ship, the Doctor looks weak and confused. He insists on returning to the TARDIS. He tells his companions to “keep warm” and heads out into the snowy cold. Then, a voice is heard and a figure appears. It is the Doctor in his Thirteenth Incarnation! With “Twice Upon A Time,” two eras end in Doctor Who: the tenure of Peter Capaldi as the Doctor and that of Steven Moffat as executive producer and showrunner. The Doctor Who TARDISblend 111: Jodie Whittaker Is The New Doctor! On Doctor Who, after his gigantic fall after fighting the Cybermen, the Doctor (Peter Capaldi) must face himself, his past (David Bradley), and his future (Jodie Whittaker). During TARDISblend 110, we discuss and celebrate the announcement and reveal of Jodie Whittaker as the next Doctor, examine the reactions across the Whoniverse, and discuss where next showrunner Chris Chibnall is taking the show. 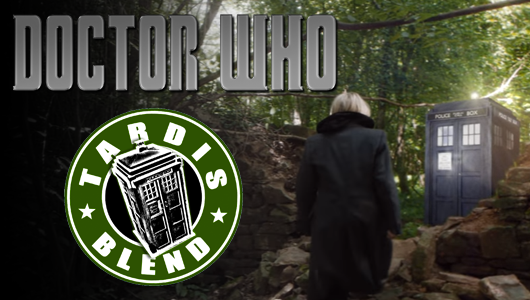 During TARDISblend 110, we talk about the disagreements amongst fans on this episode, discuss THAT final scene, and commend the performances in this episode. Bring on the Christmas Special! 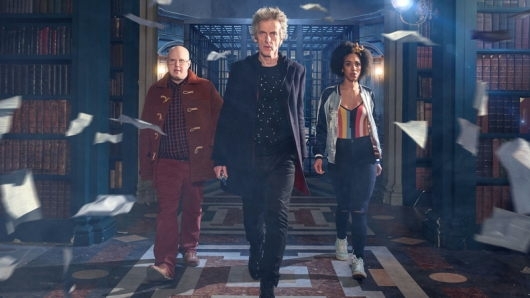 On Doctor Who, attempting to help bring about the redemption of Missy (Michelle Gomez), the Doctor (Peter Capaldi) recruits his friends Bill (Pearl Mackie) and Nardole (Matt Lucas) to help with the reconciliation process. But the test becomes fatal very quick, and will place the Doctor against the faces of enemies long since past. During TARDISblend 109, we enter the final chapter of Series 10 with an optimistic outlook, examine the return of John Simm, and critically analyze the return of the Classic Mondas Cybermen. On Doctor Who, after chasing the Monks from Earth, and bringing the Ice Warriors back to the galaxy, The Doctor (Peter Capaldi), with companions Bill(Pearl Mackie) and Nardole (Matt Lucas), arrive in ancient Scotland, right in the middle of where the Picts and the invading Romans are supposed to be. But everyone seems to have disappeared… and something sinister is roaming the land. During TARDISblend 108, we discuss the final one-parter of Season 10, the return of Rona Munro from Classic Doctor Who with her first writing effort for Nu Who, and look towards the finale with questions and predictions. In Part One of our episode: The Monks have taken the planet, and it seems that only Bill (Pearl Mackie) remembers the truth, as humanity believes the invaders have been there forever. 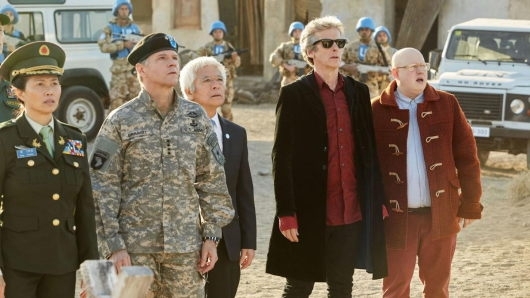 Reuniting with Nardole (Matt Lucas), the pair try to discover what’s going on. And where is The Doctor (Peter Capaldi)? In Part Two of our episode: we re-enter the universe of the Ice Warriors, as writer Mark Gattis delivers a daring and significant chapter into the history of the species in Doctor Who. During TARDISblend 107, we close out The Monk trilogy where we discuss the mixed reactions from fans online, examine the return of the Ice Warriors, and look towards what we can expect in the coming episodes. Ever since the dawn of modern mass media, there has been this concern that media has a meta-textual element designed to mislead the public. Call it subliminal advertising or even the Discordian fnord, but there is always this notion that the newspapers, the TV, the Internet that people so willingly and gleefully consume is actually putting us to sleep somehow. Though it informs us, that very act also allows it to control us. It creates a method for the direct manipulation of the human psyche, and since mass media systems make the replication of controlling information so easy, the many can be controlled by the very few. 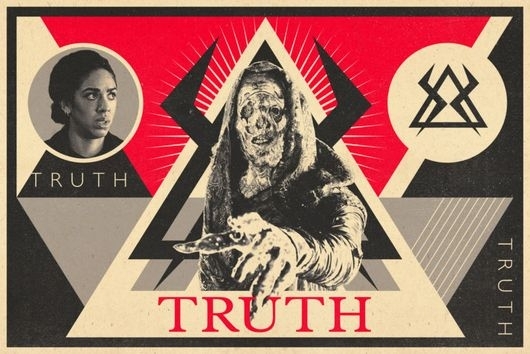 This dystopian idea of control through mass media is what Doctor Who examines with Episode 10.8 “The Lie Of The Land.” Having established last week that a new alien species (the Monks) has arrived on Earth that behave something like a shadowy, Illuminati-like group, the gimmick of “The Pyramid At The End Of The World” was the setup for a choice. Bill (Pearl Mackie) must pick the uncertain future of life on Earth with the Monks, or let the Doctor die. She chooses the former, and now we see what life with the Monks looks like. 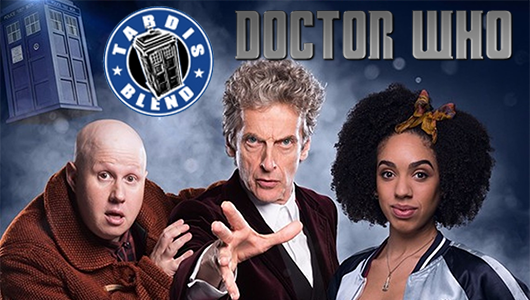 During TARDISblend 106, we continue the midpoint of the season and begin discussing the intense character development during this episode, the unique elements of the episode and the clues that preceded it, along with new characters introduced during this episode.